If you live pretty much anywhere in Canada, or in the United States east of the Rockies, that wonderful song from the 1940s pretty much sums up the conditions as 2017 draws to a close. And when revelers watch the ball drop in New York City’s Times Square on New Years Eve, they will have to endure forecast temperatures of 10°F – with a wind chill of -5°F. The brisk northwesterly winds that have carried the bitterly cold Arctic air have given rise to beautiful cloud formations over the Atlantic Ocean. You can see them in the animation of above, consisting of GOES-16 satellite imagery: long, parallel rows of cumulus clouds pouring to the southeast. Cloud streets are long parallel bands of cumulusclouds that form when cold air blows over warmer waters and a warmer air layer (temperature inversion) rests over the top of both. The comparatively warm water gives up heat and moisture to the cold air above, and columns of heated air called thermals naturally rise through the atmosphere. The temperature inversion acts like a lid. When the rising thermals hit it, they roll over and loop back on themselves, creating parallel cylinders of rotating air. As this happens, the moisture cools and condenses into flat-bottomed, fluffy-topped cumulus clouds that line up parallel to the direction of the prevailing winds. Not all of North America is in the Arctic’s icy grip right now, as the map below illustrates. It shows the forecast for how temperatures will vary from normal today (Saturday, Dec. 30th). The red and orange tones covering the western United States are indicative of warmer than average temperatures. In addition to the unusual warmth gripping most of the world right now, he ignored the fact that through November, the U.S. has experienced one of the very warmest years on record. And in this way, the president ignored the fundamental difference between weather and climate. As do silly comments from politicians who should know better. Doesn’t Trump have any climate advisors? His tweet is indicative of those who take perverse pleasure in being oblivious to our planetary future. If he did, and they told him anything he disliked, he’d probably just fire them. As it is, most of his Cabinet and advisors are climate change and science deniers. Scott Pruitt, head of the EPA, for example. They are more than just that, though! They are also mostly employees of the fossil fuel industry. Mr. Trump taking such a ridiculous position benefits that industry financially, just as Mr. Trump has benefitted from the industry’s “donations”. That’s called “bribery”, and it’s illegal. Why would you want them to ignore what has been established since the 1800’s? CO2 as an AGW agent of any significants has never been proven. So what holes can you pick in this? I found several things wrong with the video, for $100 million dollars I’ll write a report on the many flaws in the video, and include solutions to make climate models more accurate. I will require 25% as a down payment. Give us the free version. Nope, I have the solutions for a fee, pay up or be ignored. Did you expect anything better than hucksterism, in any event? So, you have no argument. From BBQ dude? Lower your expectations. You’ve seen his crackpot theories, and now he’s trying to sell them. My thing is, why buy the cow when you can get the crazy milk for free? How original, my my Mike, you should write a book on nonsensical plagiarized cliches. The funny thing about cliches (and I did paraphrase by adding “crazy”), is that they’re so common, and not the property of any one person — so they aren’t plagiarism. Speaking of which, do you give proper credit to the originators of those memes you use in place of responses “in you own words?”. Please revise your comment into something coherent and resubmit for my review, thank you. The account has a reputation for incoherence, a reputation for dishonesty, and a reputation for artificial self-promotion. Yeah, and he has been warned about this before. Yet here he is, right back at it again. If it were just a lonely man stroking his ego without all the pseudoscience nonsense, it would be one thing, but the conscious effort to undermine science reporting while doing so makes it pretty insufferable. So is that a real scientific graph? Wow!! How cool, another member of the smasher crew, or Roo2. Yes, what would be illegal conflict of interest for civil service employees is celebrated in the top positions of the administration with euphemisms like “synergy,” ” mutually beneficial arrangements, ” or “bringing industry experience to government.”. It’s also called having the fox guard the henhouse. For some reason, our conservative friends here don’t register that as unethical or immoral, as long as the perpetrators identify themselves as conservative. You don’t identify yourself as a government employee, when you post about government spending, right? Never mind “regardless”, you are a liar! You never had any employment associated with Georgia Pacific? Never worked as a teacher, as an “environmental advocate” (yeah, that one is hard to believe), as a businessman, or for the Canadian government? 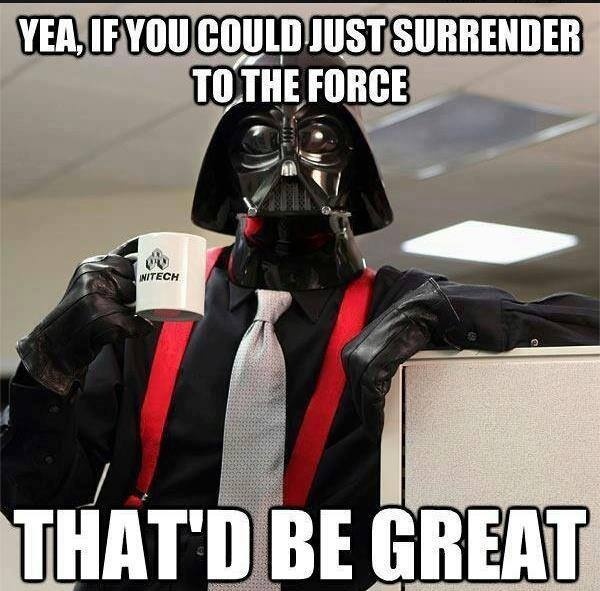 You’ve made so many claims regarding your past employment, it really is hard to keep them straight. But you remain pretty cagey over who’s currently paying you in your semi-retirement. As a U.S. taxpayer, I’ve every right to comment on how my money is spent. Your interest in the matter, however, remains questionable. I negotiated with Georgia Pacific on behalf of the Canadian Government, for land rights on the first as a consultant! Irving, McCain, too! All the big boys. They didn’t like what I was proposing, but they eventually came on board, with a little help from the National Energy Board, who had the power of Expropriation, or as you say Eminent Domain. We were adversaries, and nope, never met any Koch’s up in Canada. At that time I’d never even heard of them. This is a suggestion I make to all left wing liars, for a laugh. Let’s make a small wager, you post my claims (accurate) of employment, business management, consulting, teaching, European background, teaching and travels. I will submit proof and timelines to the moderator of your choice, and he will determine who is lying. You could be nearly famous! Shall we say $5,000.00 to make it worthwhile? So you confirmed that you did indeed have work involving the transfer of public lands to the Koch brother’s company, after accusing me of lying? Wow. I think you owe me an apology. And you keep going on about me being a government employee after stating you worked as an employee of the Canadian government, which sold public lands, and seized private property through imminent domain, to transfer it to lumber companies? Man, your hypocrisy knows no bounds. “FROM” Georgia Pacific, not “TO”, you liar! I’m done with you for now! Actually, you didn’t use the preposition “from” anywhere in your rather convoluted explanation of the dealings with Geogia Pacific, and regardless of whether or not you’re wearing the tinfoil hat, other folks can’t read your thoughts. As a former educator, you should appreciate the importance of clarity in communication. As a former government employee, you should also appreciate the hypocrisy of bashing me for being a current government employee. But that does require a certain amount of self awareness and by humility. Pathetic. After I post some 20,000 public posts, and you come up with THAT? We see silly comments regarding climate change and cold weather all the time (often in the comments section here). Politicians, particularly those beholden to campaign contributions from the fossil fuel industry have long encouraged this kind of proud ignorance among their constituents. The current Tweeter in Chief is only taking it to the most ridiculous extreme, as he does with most of his public comments. Climate change due to man-made emissions does not always mean warming everywhere, equally. The melting poles can spread cold to areas that don’t typically experience such extreme weather, at least while the melting is underway. But that’s the kind of complex reasoning that doesn’t translate well into tweets or soundbites. The poles aren’t melting, who told you they were, in fact the ice is growing. Man made emissions are only 1/82,500th effective as that of water vapor, which is our primary GHG. That big hole in the Chukchi Sea they were lamenting as global warming, is now frozen solid, just a month later! Yes Mike, your links are probably fake news, try this one. Antarctica lost about a quarter of the area of Australia in February as compared to last February. That’s a pretty short time scale to do much with, there are historical inner and outer boundaries for Antarctic sea ice, it would be interesting to know the last 25,000 year history of said sea ice, same goes for glaciers. “Probably,” indicating you don’t bother to read or view any source of information that conflicts with your viewpoints . Noted. Why don’t you stop posting nonsense links and comment in your own words? Why don’t you quit posting nonsense in your own words and provide links to articles or research papers that would support your bizarre theories? Tall order, I know. A bizarre theory is thinking a trace gas like CO2 is a major climate driver……Wahahahaha. Yep, I knew you weren’t up to the task. Thanks for playing. 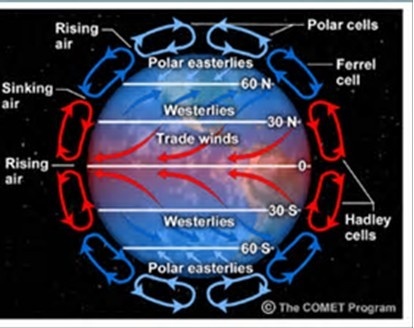 The theory for our current cold weather and curious cloud formations, which makes the most sense to me, is the non-action of the outer gaseous planets and their solar magnetic connections (flux transfer events), and the role they’ll play in the changes to our equatorial tilt and Orbital precession, those helically magnetic (FTEs) ropes attached from the sun to Saturn-Neptune-Jupiter and Uranus are anywhere from 5,000 to 18,000 kilometers wide, and influence the magnitude of force solar magnetic fields have on earth during times when planetary positions are where a convolution of solar forces directed at earth come in contact with the FTEs of the outer planets, those outer planets seem to draw away some of the solar forces directed at earth, if they are somewhat behind or behind and off to the side of earth and our current relationship to the sun. Our best chance to begin a new mini Ice age is this coming February when Ceres is on the opposite side of earth from the sun, imho. Those large outer planets are most likely the cause of our long term Climate Changes due to there positions where there magnetic ropes cannot influence solar CMEs (electromagnetic energy) during peak times. Since the earth’s two cores, the inner which is solid and outer liquid produces centripetal accelerations which are influenced by the geomagnetic energy of both cores, they’re also subjected to new flow alterations, depending on a magnitude of energy from the solar electromagnetic pulses (Electrons & Protons) then those flow alterations may change the direction of the centripetal accelerations produced, thus torquing around our orbital precession, which has an impact on our tectonic plates and also produces volcanic activity above and below the sea, which will not only produce earthquakes as a result of the changes in the centripetal accelerations produced, but undersea volcanic discharges as well, which can, and have created El Nino affects and can also influence our oceans conveyance, which along with the above mentioned forces will influence our atmospheric pressure, jet stream and impact the Coriolis forces which creates the gyres that create Hurricanes and influences other weather anomalies like the current cold weather which is blanketing the northern hemisphere, the magnetic forces can and do have long term impacts on our orbital precession and eccentricities which also influence our long term climate, imho. CO2 is only an insignificant trace gas which can only influence the GHG effect 1/82,500th that of water vapor, as a climate driver, CO2 is nothing in the big scheme of things. The BBQMan account (disqus_sRoSd74zZZ) has a bad habit of posting dishonest fossil fuel industry talking points and then promoting that misinformation with a vote-bot. For this reason, I believe the account should be permanently banned from the site. If you agree, please downvote and flag BBQMan’s post as spam. Mod, please terminate the account’s access to the site. CB, why are you once again using defamatory language against me instead of debating climate science? How much is the Kremlin science department paying you? No! And you CB are a freak of nature…you really think anyone is gonna ban him from disqus based on your freaky claims? Begone you!!! Nope. He might be banned from Discover, though. This is a science site. It’s not for pseudoscience and animated gifs. You are too easy on him. Bernie would be happier in North Korea with his fellow authoritarians. That sort of thing is so much easier there! You can’t say the guy doesn’t provoke conversation. And isn’t that the reason most of us check out the comments section? I figure if it isn’t bots, he must be organizing via some social media messaging group, because the disproportionate upticks occur so quickly, they can’t be the result of people reading the comments — as much as I like this site, it just doesn’t get that volume of traffic to get that many votes that quickly. Plus, most of the upvotes come from characters you never see around here without the barbeque man. Either way, he’s posting nonsense and gaming the system to make it look like his ideas are popular. Why don’t you ask anyone up voting me, any climate driver science related question you can come up with Mike, just remember that CO2 is not a climate driver above 345ppm, so attempt to ask coherent questions about actual climate drivers, thank you. It’s not a climate driver above 200 ppm. Water vapor is around 500 trillion tons annually, CO2 is around 1 trillion tons annually, the atmosphere self regulates with a natural sink through the action the Hadley cell and annual 500 trillion tons of rain which brings down enough CO2 a year in the sink to keep things in check. CO2 is primarily a byproduct of climate change, not a driver. However, what of the 40 billion tonnes were adding annually? That’s an additional 1/12,500th added as related to the 500 trillion tons of water vapor which brings CO2 down in the sink, seems pretty insignificant to me. Make it 80 tons and it will change to 1/6,250th that of water vapor, still insignificant when we put all things in perspective. The focus should be on magnetic ropes, solar CMEs and their relationship to atmospheric pressures, orbital precessions and eccentricities. Considering if we could see the frequencies that CO2 absorb, even at just 200 ppm, it would appear as a thick London pea souper of a fog, where you would have trouble seeing your hand in front of your face. In fact, isn’t that one of the great denialist arguments? How can adding to an already impenetrable fog at such a low concentration have any affect? People waste too much time discussing what CO2 can and can’t do, Considering it’s more of a byproduct of climate drivers, than anything else, as related to our actual climate drivers, CO2 is only around 0.000001% of the total. Seeing as CO2 even at 200 ppm is virtually opaque to IR frequencies coming from the surface of the earth as they try to make their way out to space, on what do you base that considered opinion? Don’t you think something that is virtually opaque might impede the progress even a tiny bit, or you think IR is made of sterner stuff? So, you’re going with the “sterner stuff” argument then. Glad you finally found a coherent argument. It is nice that he chose to use the right wing’s mascot for leadership (prior to Trump) in his silly meme, though. Like “magnetic forcings?”. LOL! No thanks, I think I’ll stick to getting information from the scientifically literate. Ha ha, I know, like a trace gas which is only 1/82,500th of a GHG compared to atmospheric water vapor, most of us call what you get from your version of scientifically literate, pseudoscience. But isn’t water vapour a second generation GHG? Things are not always as they appear Mike. HNY to you as well rambler! Who do YOU speak for Mikey? The Trudeau government has finally admitted that even if it implements every one of its current climate change polices, costing Canadians tens of billions of dollars, it will still fall far short of its greenhouse gas reduction targets for 2020 and 2030. The acknowledgement comes in the government’s latest mandatory submission to the United Nations Framework Convention on Climate Change, submitted Dec. 29. It outlines government efforts to meet the greenhouse reduction targets Prime Minister Justin Trudeau agreed to when he signed Canada on to the Paris climate accord. Presented by Environment and Climate Change Minister Catherine McKenna, the report barely acknowledges the government will fall far short of its 2020 target, although a chart within it clearly shows that goal will not be met. However, the report explicitly acknowledges that even if the government fully implements its entire existing climate action plan — including projects not yet begun — it will still fall 66 megatonnes short of its 2030 goal of annual emissions of 517 megatonnes (a megatonne, or Mt, represents one million tonnes of emissions). Minister of Environment and Climate Change Catherine McKenna makes her way to speak with media at the United Nations Headquarters in New York City, Wednesday September 20, 2017. A 66 Mt shortfall would mean shutting down the equivalent of almost all of Canada’s agricultural sector (72.8 Mt of emissions in 2015, the last year for which figures are available) within 13 years. Between 2014 and 2015, Canada only reduced emissions by 5 Mt, from 727 Mt to 722 Mt. Even the Trudeau government’s estimate that it can reduce Canada’s emissions to 583 Mt annually by 2030, compared to 722 Mt today, appears to be a pipe dream. The report nonetheless insists Canada is “100% committed” to meeting its 2030 target, but only through future investments in public transit, clean technology and carbon sequestration. The fact Canada will miss both its 2020 and 2030 targets under current policies is unsurprising. What’s new is that even the Trudeau government admits it. Prior to that, the UN, the Organization for Economic Co-operation and Development and federal Environment Commissioner Julie Gelfand had all issued recent warnings Canada is not on track to meet its emission promises. That is, unless it spends billions of taxpayers’ dollars annually buying so-called “carbon offsets” on fraud-ridden international carbon markets, which the Trudeau government said last year is part of its plan. Of course, the government doesn’t acknowledge international carbon markets are riddled with fraud. On the other hand, Interpol, the world’s largest international police organization of which Canada is a member, does. In setting greenhouse gas reduction targets and failing to meet them, Trudeau is continuing a tradition of previous prime ministers, including Brian Mulroney, Jean Chretien, Paul Martin and Stephen Harper. Prime Minister Justin Trudeau signs the Paris Agreement on climate change during a ceremony at the United Nations headquarters in New York on Friday, April 22, 2016. Indeed, Trudeau’s Paris climate accord commitment to lower Canada’s emissions to 17% below 2005 levels by 2020 and to 30% by 2030, used to be Harper’s targets, which Trudeau mocked as inadequate in opposition, before adopting them. Meanwhile, the federal and provincial governments will continue to scoop up billions of dollars from Canadian taxpayers through carbon pricing every year, while failing to come close to achieving Canada’s promised emission reduction targets. That’s because carbon pricing as the feds and provinces are implementing it, is nothing more than a cash grab from Canadians and is not designed to effectively lower emissions. So you post a right-wing editorial for support? LOL!!! Now you’re not even trying! So tell me, how much of your retirement fund is based on fossil fuels and extractive industry? There’s got to be a personal financial motive for you to be this subservient to these groups, and so dismissive of the environmental damage and climate-related weather extremes future generations will will face. Unfortunately, that doesn’t mean his presence here has gone away, or the disinformation he posts. It just means you won’t be able to counter it. I can understand the desire to do so, but it unfortunately seems too much like something he would consider a win. Considering what his reality looks like….I am not really sure I care. haha. I think at some point you just have to let some people be nuts. I really am not sure you can talk sense using science into someone that honestly believes scientists are all liars. Kind of a self fulfilling prophecy. I get that their bs should be countered to hopefully stop people believing it but…I just don’t think anyone that sees that forum post and believes it can be talked out of it by someone on a forum. So maybe it is better to not engage and instead just let people who are engaging and who have good incite know that they are in the right. Really just decided my sanity was not worth messing with:) I can’t let a lot of these things go when I get into them so this seems saner. You can go to your “safe space”, but don’t put your nose into the real marketplace of public opinion, unless you are ready to discuss issues without resorting to ad hominem insults like “nuts’ and “paid propagandists” not to mention “criminal” and .”mentally deficient”! I was waiting for Nazi. Give ’em enough reason and logic, it’s always inevitable. Well, I don’t know for sure who signs your checks, or if you’re getting a generous crazy check from the Canadian government, but you are quite the propagandist. And you’ve yet to use anything resembling reason and logic, as opposed to rhetoric. So no hissy fits here, Buttercup. Well, we know who signs YOUR paychecks Mikey. In the interest of fair and balanced comment, you should preface any discussion on government spending, with a disclaimer that you are on the government payroll. That’s what any honest person would do, after all. You’re probably the last person anyone should take advice from regarding honesty. Now if they need pointers on hypocrisy and blatant disregard of reality, I think you’ve got it covered. Why don’t you just let people make up their own minds? Your narcissism knows no bounds! You might want to stop misquoting me. I did not volunteer that information. “Militant compatriots” – – LOL! “I did not volunteer that information.”. Really ? You posted it in a public forum. If you’ve got such poor control over what you post, maybe you shouldn’t be posting. But that’s just this pup’s advice, Old Yeller. You mean those “fine folks,” according to our President? I think I can probably guess where most of them stand on climate change, when they aren’t celebrating the Confederation. Well looks like I get to block Wilson twice. You see the great thing about these forums is….I am not here to learn anything. I go to the scientists and their papers to do that, I come here to see what other think. once I know that someones ideas are ridiculous….I can move on:) Have fun ranting and raving though. Your post is just a long, fact free ad hominum attack. As a self styled “person of Science” maybe address his specific points and win the day with reason and fact, rather than rant like a 16th century religious puritan accusing a heretic. I did, often, with several links and papers. This is one of the issues I have with these arguments. Someone comes on and writes odd ideas that have zero scientific basis, and when you present the current accepted scientific ideas they go to “that has not been proven!”. I tried to break it down to simpler things and he wouldn’t discuss them. I tried to focus on just one part, and he went on tangents. This is why I quit talking to him. Everyone on here already thinks they have an answer from someone else in the world that is correct it seems. I usually go with scientific consensus among professional scientists. I am just finding if the person I am talking to doesn’t trust that, we will never see eye to eye. I call it draining the Swamp! One less completely failed waste of time to deal with. “One less completely failed waste of time to deal with.”. I’m sure he felt much the same, with even more justification. Sure, it’s so much more comfortable in the echo chamber. Science! Of course, rather than address specific points in his post with facts you resort to clichéd personal attacks, standard operating procedure for “Shut up!, they explained” AGW proponents. His posting an editorial is relevant to determining credibility. Editorials may contain facts, but they are always biased towards one viewpoint of another. They are not primary sources for independent thinkers, and frequently distort the truth. Unfortunately, some cannot tell the difference between replying facts, and editorializing, as demonstrated right in this forum. I’m worried about the obscene National Debt that you socilaists are kicking down the road to our unborn, long after you got your lifetime government gravy train Swamp pension, and are long gone! 1). You aren’t a citizen of the U.S., so regardless of what the debt is, you aren’t liable for it. 2). If you were really concerned about the U.S. debt, you’d be expressing a lot of concern over the new tax bill, which will increase it by at least one trillion dollars –that’s the most conservative estimate by the non-partisan Congressional Budget Office. So sorry, I just don’t believe you — and why should anyone else, for that matter? What you believe is your problem, not mine, Mikey! Hey Mike, I’m new to this site but I thought to help anyone reading this with an explanation: BBQ man is a very popular poster on Disqus channels (which is a captive blogging service from Disqus, not like it’s used on an outside website like here). I guarantee these are all real people and they read what BBQ man has to say avidly. Many might not be super science minded they are very into political debate. I know BBQ but don’t follow him like his fans do. I actually came here trying to track down a poster lurking at a Disqus channel I mod that goes around down voting without commenting. On Disqus channels, comments are usually welcome and the more the merrier, which might be different than on an external blog like this. How about keeping it as entertainment? The man certainly appears extremely knowledgeable about something! He knows quite a lot about propaganda and misinformation. I don’t think that should have a place here at Discover, but I’ll leave it to the mod to decide. That’s the problem, you never think before flapping your lips. Misinformation is posting a chart showing contrived proxy temperatures for every year since 1880. EXCEPT the temperatures from the last 10 years or so! LOL! “Fake News!” Get Trump’s parrot a cracker, somebody ! Maybe CBS has a box of them. Why, does Johnny want a cracker, too? Your approach is a bit formulaic. Are you a bot? Nope… and here’s why I believe a bot is involved in the promotion of BBQMan’s posts (and perhaps your own, if you are actually a different person and not a shell account). If you would bother to look into Sheps or BBQmans profile and those who up vote them before you accuse them of being bots you would not have made that accusation. Every up vote is an individual poster, hardly the creation of a bot. And that you post YOAC’s sarcastic post from a year ago causes me to believe that you are one with an agenda. Anyone that took the time to look at the conversation would discern the context of his remark. Maybe! …or maybe it’s one person with 30 shell accounts. What they are promoting is the claim that CO₂ does not warm the planet and magnets do. Barbie has refused on multiple occasions to explain why anyone would believe such nonsense. Why do you believe it? I’ve never said magnets warm the planet, please stop projecting nonsense CB. “Magnetic forcings.” Your term, I believe . Denying what he said seconds after he said it. I mean, it’s almost as if he’s lying! You are quite the rube CB. The comments from everyone can all be traced to the articles. Quit being so lazy and do some work before making unfounded accusations. Perhaps it is you who is the shill with a shell account. That sentence seems like word salad. What does it have to do with the clownish claim that magnets are controlling the Earth’s temperature and not greenhouse gasses? Still you answer me with your cardboard cutout responses, just who does pay you? You don’t have a thread in your history that is of any other subject that GW. How’s shill are you? Looking into your posting history I see that the only thing you post on is GW articles, who’s pocket are YOU being paid from? …so no comment on the magical magnet claims, then? If it was worthy of such a thunderous round of applause, one would think you’d jump at the chance to defend it, right? Why aren’t you interested in doing that, Mr. Swift? So just how much heat does this represent? What does a joules times 10 to the 22nd represent? And how accurate are those numbers? There’s one Argo thermometer for each 165,000 cubic kilometers of water and it’s supposed to be accurate to ± eight thousandths of a degree? Poor addled Jim Kutsko thinks that NOAA is part of a global conspiracy of scientists. No point in arguing with such tin-foil-hat madness; pity him instead. Sad. You are truly grasping at straws as an act of desperation of losing a debate with an opponent that has a strict observance in civil discourse . It’s a typical strategy of those that have ran out of all arguments so they must turn to baseless personal attacks . Pretty certain CB knows all of these up voters are real people. I see her lurking on various channels and secretly down voting people. I know almost every one of these posters and none are “bots” but a few have some strong opinions! How about we downvote you and flag your posts for being a jerk. Would it change the fact that CO₂ is the primary driver of the Earth’s temperature and always has been for all 4.5 billion years of the Earth’s history? Your attempt to shut down the voice of someone who does not share your views is my point, address that instead of deflecting. I do not even know if Barbie shares my views! …because he has been asked over and over and over again to explain why he believes what he believes, and that explanation never seems to materialise. Why would you think magnets are a source of heat? Are the magnets on your refrigerator particularly warm? Address my point CB. You act as if Disqus is your realm to control instead of the commenting platform chosen by Discovery for all of it’s readers to utilize. Just because you cannot see something doesn’t mean no one can. As someone who is able to understand when a person is lying, I would suggest you have a duty to help those who might not have that ability! How are they ever going to figure out fact from fiction if you refuse to help them? Interesting idea. I think it is a little optimistic though. Most people find what they want so I doubt you are helping as much as you hope. Don’t get me wrong…I argue on here all the time but after a while it can drive you nuts. Not saying the idea of arguing against nuts on the internet is a bad thing, just not very effective at all. Especially here. Check out the full thread. Watch how the misinformers artificially-promote a nonsense conversation. They go back and forth spamming happy new year congratulations until that’s all there is to read! Anyone stumbling onto such a thread would have no idea there were normal human beings having a conversation about the article at all! …and that’s all quite on purpose. These are professional disinformers. We cannot cede the public square to them. We have to identify them as the spammers they are or they’ll drown out absolutely everyone else. I’m glad you feel that you have the ability and time to do that, and support you in it. I am backing off with these particular nonsense senders as it was damaging my calm. I hope that it doesn’t mess with your head the way it started to with mine….I have a tendency to not let things go. I don’t think fighting it in a forum will help much, but if you feel it needs to be fought here more power to you. I understand your lack of interest in interacting with them! …and they have at their disposal powerful propaganda tools. They know that if one repeats anything enough times, a certain segment of society will come to believe it. I would suggest that’s extremely dangerous. Yup old school tactics for politicians and lawyers. I question sometimes if engaging helps or harms as a whole. Better to just ignore and or occasionally defend people who get caught up in it. Hard to tell. Not sure. I do think Disqus needs much better bot protection though. If you ask me every post should have a captcha at the very least. Well… Disqus just sold to a bunch of spammers, so don’t look for Superman to come swooping in to save the day any time soon. If anything, this kind of misinformation and propaganda is only likely to increase with the new owners. I don’t envy the coders who have to tackle the problem! Requiring someone to pass a Turing test with every post would certainly work, but can you imagine the blow back? How annoyed would people be!? Glad you have the time to make noise. I have better things to do with my brain than slam it against liars. It would be impressive, too, if it actually made any sense. I’m afraid you won’t see NASA or any other group with scientific credibility supporting that “theory” anytime soon, though. Your precious Government Agencies, NASA, (Muslim Outreach Job 1) IRS (Lois Lerner Pleads the Fifth), FBI, (The Comey Cabaret) State Department, (Hillary’s personal Charity) V.A. (Phony waiting lists) EPA, (radical environmentalism) NOAA, and the rest are only as credible as the politicians that manage and staff them. One day you will grow up Mikey, and a whole new world of wonder will open up before your newly opened eyes! The NOAA satellite data is being reported, analysed, and charted by a global warming skeptic. “Roy Warren Spencer (born December 20, 1955) is a meteorologist, a principal research scientist at the University of Alabama in Huntsville, and the U.S. Science Team leader for the Advanced Microwave Scanning Radiometer (AMSR-E) on NASA’s Aqua satellite. He has served as senior scientist for climate studies at NASA’s Marshall Space Flight Center. And that, Mikey is why I trust him more than I trust you, and your pals, Al Gore and the Hollywood crowd. Your conspiracy theories might make sense of it weren’t for the fact that the scientific data from “respectable fields of study” actually supports the contention that climate change is a serious problem aggravated by human activity. Also, the fossil fuel industry is the biggest “money making machine” around, with far more motive to engage in a conspiracy to spread disinformation, aided and abetted by “useful idiots” on the right. It’s also interesting to note that you find it more plausible to believe that liberals in the West are a bigger threat to democracy than a former KGB boss and current dictator actively engaged in influencing elections and dividing people to weaken his opponents. Then again, Putin’s paid trolls could learn a thing or two from you and BBQ Man about using disinformation and divisive rhetoric. It’s a sad thing when delusional partisan thinking so easily serves dangerous autocrats and undermines our values. 1. Fossil fuel companies make their money by providing cheap energy for your house, and your appliances, your transportation and the factories that manufacture that provide jobs to produce and deliver all the food and consumables you use every day to stay well fed, well clothed, medicated, and healthy, connecetd to the world by road, rail, phone, and internet, and sheltered. 2. The only politicians who have been proven to have received Russian Kremlin money from Putin so far, Mikey, are Bill and Hillary Clinton. Their personal “family” charity, got at least $2,450,000.00 while Hillary was Secretary of State, and Bill got $500,000.00 while pretending to be her husband! There is presently a Congressional Investigation into the alleged bribery and money laundering, at the highest levels.! There’s also an investigation by the Justice Department into the current administration regarding it’s Russia dealings, which has actually resulted in indictment and a plea deal. But you knew that, right? Just conveniently forgot, I guess. Put Bill and Hillary under oath and you could send them away for 50 years! But I’m waiting for some kind of evidence that your duly elected President and his family are traitorous Russian plants! Now, that would be news! Wake me up when you find out! “B-B-But Clinton!” Yeah, I’m thinking the Justice Department will be much busier with this administration than with any previous one. You may not be getting much sleep, if you want to be awakened for that! LOL! I’m heading back to my Island paradise now, where my carbon footprint is oh, so low! I’ll leave you and Al Gore to freeze in your Global Warming! Give me a shout when they arrest Trump. Then we get a chance to see what Pence can do! Pence, said in he’s not implicated in any of this fiasco, would be terrible but survivable. He’s a climate change and evolution denier himself, and probably would have been more at home in Salem, Massachusetts, circa 1692. But I don’t worry that he would start WW3 via Twitter. It’s the sorry state of things now that this is what counts as an improvement. I take it you preferred Bernie, right? Wrong, sorry. “CO2 is nothing in the big scheme of things.” Hiding that at the bottom, not nice. Your CO2 vs water vapor claim has an issue. CO2 stays in the atmosphere over 8000 times longer than water vapor. In addition you need more heat to gain more water vapor…you can’t just throw it into the air without heat to turn it into vapor, and keep it as vapor long enough to do any warming. So you need CO2 and other greenhouse gases to increase the water vapor. In short you need a driver gas. That is where the greenhouse gasses come in. The water vapor is an effect of the greenhouse gasses. So when you say water vapor does way more you are correct….it just wouldn’t do it without the greenhouse gasses. So you should be adding the water vapors effect to the CO2 that caused the water vapor to exist in the first place. Only a small percentage of the CO2 does not come down in the sink and remains n atmosphere longer, your 8,000 times longer has never been proven, in fact, there has never been an experiment that actually replicated the quantifiable’s on earth, the atmosphere and outer space, including but not limited to the Jet Stream and it constant extreme wind speeds, up to 500 mph starting at around 6,000 meters, non the extreme low temperatures down to 110f, or the 24 cycle in and out of the sunlight, non cloud cover, or the oceans, flora and fauna, Heat Islands, or increased convection changes over water when the atmospheric temperatures are lower the the seas. You’re 8000 times longer is only another unproven theory. Yale as well as the journal of geophysical research disagree with you. The 8000 times number is a worst case for the 65% to 80% that gets absorbed by the oceans and other quick trigger absorbers. They estimate it takes between 20 and 200 years to absorb those particles…different times for different particles. There is 20% that the best physics and chemistry knowledge we currently have shows will stay around for about 10k years that I didn’t even include in the number. Water vapor usually cycles out in 9 days. So I will play devils advocate on this one and lower my 8000 number to 4461 if we use the median of 20 to 200. In the end…none of that even matters. Water vapor only increases after temperature increases. You need a driver. There is no other idea that fits the known facts as well. There are hundreds of small scale experiments showing how co2 is sequestered. We don’t just throw out the best idea because we can prove an idea completely. So you can say we don’t know exactly, or it hasn’t been proven 100% but that doesn’t mean it is not right. Your arguments have less data behind them, and are less based in known science. That is why I believe they are wrong. So let’s debate about what has been proven. Do you deny that you need more heat to have more water vapor in the air? Please be more specific, do you mean more heat in the atmosphere to create a more pronounced convection which causes more water vapor to rise from the seas? Let’s simplify. Is the maximum amount of water vapor per cubic centimeter in a given space determined by the heat of that space? ie if it is 80 c in a container that is 100 cubic centimeters it can hold x amount of water vapor before condensing to water, and you need to increase the temperature to allow more water vapor before condensation. I don’t agree, the convection is more pronounced when the atmospheric temperature is lower then the temperature of the sea, thus, more water vapor rises into the atmosphere. Then you don’t understand how humidity and temperature are paired together, and the rest won’t make sense to you. It is also pretty hard to talk to you about details when I ask you about a container and you talk about the temperature of the sea. You can’t prove anything about climate science in a closed loop container, you must base your math from reality. You need to understand all of it first. You need to know how water vapor is created in general and how it stays as water vapor. Then you can talk about how it might function in the real world. So again, in a closed container, to keep water vapor from becoming water as you add more water vapor you have to increase…..? I don’t live in a closed system, if you want to debate how water vapor acts in the atmosphere, let’s discuss the atmosphere, you can’t do an experiment in a glass box and extrapolate that into some type of global condition, you are missing way to many measurable’s. Ok so you won’t answer a simple question got it. So where doe the heat come from to add more water vapor to the atmosphere? Primarily from the sun, but in some regional circumstances, magma from our outer core. So why do we have an increase in temperature? ie why do we have more heat? It’s natural for earth to have more heat at times, just as it is to be colder at times, if we went back in time to around 50 BC, we could have the same conversation, or any other number of dates in our past. And as back then, just as it is today, it has always been the sun and it’s electromagnetic forces, outer gaseous planets and their magnetic ropes which are attached to the sun, which influence our own geomagnetic forces, which influence our orbital eccentricities, precessions and to a degree, our equatorial tilt, also as a result, these actions change centrifugal forces that allow tectonics and magnum flows to move around, imho. CO2 is only a byproduct of the actual climate drivers I have listed, grant it, CO2 does have a substantial role in sustaining life and does add to the GHG effect, but in know way can ever be a major climate driver, in fact it is only 0.000001% of the total as related to climate patterns. 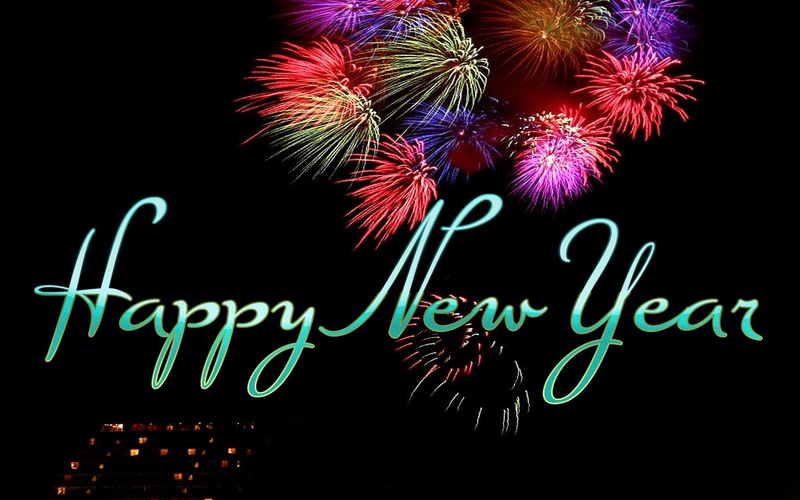 Have a happy new year JWrenn! Ah, the inevitable ad hominem of the intellectually bankrupt! Some of your more militant compratriots have hacked into my Google Account, (not for the first time) and created a little temporary havoc. Thanks to Google Secure Log in alerts, we are managing to sort it out. Please do not flatter yourself that I have gone to all this trouble to bypass a block from a global warmer. Because It’s that kind of narcissistic thinking that allows you folks to believe the planet and it’s species are all going to end in your own special lifetimes, after some 4,500,000,000 years of managing quite nicely without you! Uhm who is the “we” that are sorting it out? Interesting use of the plural pronoun, isn’t it? Multiple accounts now being disavowed (perhaps to excuse any truly outlandish statements that could result in banning? ), multiple personalities, or multiple individuals posting under one identity? Makes you wonder, doesn’t it? I love his explanation as well. Does he think I was part of him getting back into his account? What the hell happened there. Yeah, he refers to my musings as “Clinton Conspiracy theories,” after going on about ” militant comrades” hijacking his account! LOL! And of course, the gratuitous bragging about his Disqus upvotes (no mention of the downvotes, though). The things that apparently matter to other folks are sometimes just perplexing. I happen to think staying informed about science, and particularly the topics that affect us all are pretty important, but that’s just my take on reality. Google’s explanation is a hacked account. They have record of the IPs that have successfully logged in to my account, from some places I never heard of! They say it is common place. I assume that the folks who call me a criminal, mentally deficient facsist propagandist, are unhinged enough to do something about it. They burn cop cars, loot and pillage neighborhood Mom and Pop stores, so I on’t rule anything out! You’re assuming that a conspiracy of “militant comrades” specifically targeted you based on your Disqus comments , and other folks are the “unhinged” ones? LMAO! Priceless. Repost your first eronious quote you atribute to me, and I may respond. The quote was, “your more militant compatriots”. Your militant knee jerk socialism is getting ahead of your brain! Excuse me! LOL… “militant compatriots.” Darn autocorrect. Still, your basically attributing a widespread internet hack to political opposition against you. My point remains. The “we” I referred to is me, Disqus and Google Business Accounts. Also….sea temp vs atmospheric temp doesn’t really matter in this equation. The heat can come from the water or the gas to make water vapor so that is moot. Sea temperature vs atmospheric temperature matters if you want to discuss actual climate drivers, your glass box equation does not lead to understanding climate patterns. Sure it matters for all sorts of things….but if you are mixing atmosphere with water to get water vapor, total heat matters, not where the heat came from. Oh an on your idea that there has never been an experiment showing this. Show me an experiment that says the Jet Stream handles all of this…..I will wait. If you would like links to a ton of scientific papers agreeing with the idea of how long co2 stays in the air just google how long does co2 stay in the atmosphere. There are a ton. The bs idea that because we don’t have a perfect experiment to test this on a huge scale is silly. We should use the best data we have, not throw it away because we can’t do an experiment on it the way you want. We rely on small scale experiments on how CO2 is sequestered and scale it as best we can. There will never be a way to run a world wide experiment on this to know exactly. If I used your logic to erect buildings, they would be collapsing. We don’t agree with ideas, we work with facts and known quantifiables. No what I am saying has nothing to do with buildings. You can easily test everything you need for a building in the small scale. You don’t however test if a skyscraper can withstand hurricane winds. You do it on the small scale then apply what you know. I am not saying that makes it proven….it is just the best we can do. Your idea is if we can’t rock hard prove something then don’t use all of our other knowledge at all. That is silly. No, I’m saying we shouldn’t let unproven theories about CO2 being a major climate driver, also drive our economic growth and decisions. And wind loads are worked our by Structural engineers, and also aid in where to place various types of structures in known wind zones. where to place various types of structures in known wind zones.” This is the same thing. Why do you trust structural engineers but not climate scientists? Do you have scientifically tested evidence that shows any of your theories that you wrote? Structural engineers have a proven track record for getting it right, although they usually build in a redundancy factor of around 100% or greater in some cases. Climate science models have a bad habit of changing the field data to match what the models say, that is wrong and has nothing to do with any science. Even much of the data collection and testing is wrong because of wrong unproven assumptions, for example, 60% of the Equatorial Jet (Hadley cell) Stream which carries almost 100% of the atmospheric CO2 around, does not cross the 30 degrees mark before the polar regions before sinking at the mid latitudes which causes polar ice cores to be short on historical CO2 readings. Interesting made up data about the CO2…or do you have a link to an experiment that confirms this? My data is not made up. So BBQMan, is the theory you outline above your own that you have developed, or were you made aware of it through research performed by other scientists? If you would like to discuss climate drivers, let’s do, if you have a political or financial agenda, don’t waste my time, thank you. I don’t believe I have an agenda. Above, you have written something that sounds like science, but I have never heard of this before. But that means nothing – there are lots of things I have not heard of before. So I am asking a simple question, right? Where does this originate – with yourself, or with some published research I am not aware of? My theory is a result of different things I’ve read, seen and experienced over the years, and how I’ve connected the dots from various components of all of that. As far as I know, nobody else has ever expressed the same ideas in total, but almost everything I’ve put together, has been expressed by others in compartmentalized ways. If anyone has ever had similar ideas, I’ll like to read them. Thanks I appreciate your honesty. So what I understand is this: You’ve read some science – perhaps a lot of science – and from your readings you’ve created your own theory of climate. So the answer to my fundamental question is, No, the ideas that you express above are not espoused by any other scientist. 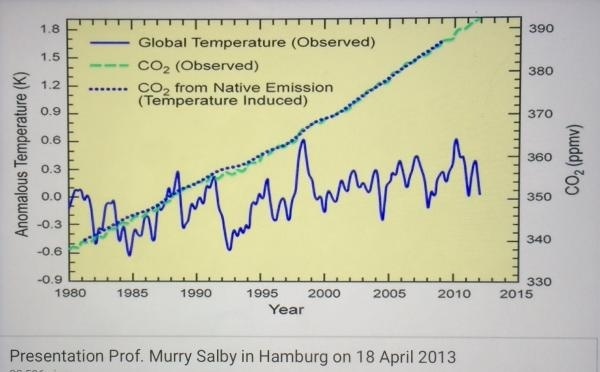 Now, from your comment, you indicate that this theory can be applied to explain numerous things, but at the end of your comment you mention CO2, so it appears that you set up your theory mainly as a counter to the “greenhouse gas” theory. Is this correct? No, I was never looking to have a theory to counter the GHG theory. I just don’t believe GHG data sampling and means & methods are adequate. I don’t believe we have a clue what the atmospheric CO2 or Global temperature levels are + or – 10%, and we can’t even get that close in determining what the levels were around 1800. I don’t have much faith in today’s climate science field means and methods, including where and at what altitude above sea level to place collection sensors. And if we just depend on satellite data, there is not enough historical data to establish anything related to what the climate will do based on CO2 levels. Also, after an extensive review of the Hadley cell portion of the Jet Stream, I don’t believe CO2 is very well mixed in our atmosphere. In my opinion, organic CO2 lags temperature changes. It’s my belief that our equatorial tilt, orbital precession and eccentricities, along with lunar gravitational pulls, atmospheric pressure changes, geomagnetic influences and several other globally impacting events are our primary climate pattern drivers. Hang on, we’re getting a little ahead of ourselves here! I trust that you are being honest and that your personal theory was not meant, initially, to be a response to GHG theory. But you NOW think that it is, right? I mean, why else bring up CO2 in your comment? Unless it was a mistake to do that? And that’ s OK if it was. Look, you went into a fair amount of detail in your initial comment above in describing this idea that you have. If you mean for this to be some type of alternative to GHG theory, I want to know that. So do you desire this idea to be taken as a serious alternative to GHG theory? I’m hitting the hay soon, but I hope we can continue tomorrow. So I was surprised not to see a reply from you. Perhaps the way I signed off last night implied I would reach out to you again first today. If so, that is what this comment is. This really seems to indicate that the answer to my question is “yes”. Mr. BBQMan: Through long, rambling, often wholly incomprehensible, non-scientific gobbledegook, you have a tendency to hijack the discussion here. I will no longer tolerate it. This is my blog, not yours. I’ve dedicated it to what the historian and philosopher of science Thomas Kuhn once called “normal science.” By that he meant the regular research work of scientists within a tested and generally accepted scientific framework. You, on the other hand, engage in unhinged theorizing utterly disconnected from any semblance of scientific reality. Sometimes what you write sounds vaguely scientific. But it is rarely that, if it ever is. And often, what you write makes no sense whatsoever. To offer one example, this snippet from a 170-word sentence: “The theory for our current cold weather and curious cloud formations, which makes the most sense to me, is the non-action of the outer gaseous planets…” Let us parse that: The clouds here on Earth that I wrote about in my post are, you claim, caused by the NON-ACTION of the giant gaseous planets, which reside hundreds of millions from us. In other words, they do things by not doing things. Then you spin out a phantasmagorical explanation that has no connection to reality. Moreover, your posts are often very long, and they truly do have a tendency to hijack discussion here — in directions that I can no longer countenance. With that in mind, moving forward you will limit yourself to no more than one comment per article here at ImaGeo. Each comment shall be no more than 250 words long. In all cases your comments must be at least vaguely connected to real science, not simply the product of your own wild-eyed theorizing. Lastly, to insure that you do not hijack the discussion here, you may not reply to responses prompted by what you post. Say what you will the first time around, and then move along. If you cannot abide by these requirements, you’ll be banned from the site. Thanks, Tom! I appreciate it. There is a political and cultural war going on in the world. You can see it in macrocosm at the U.N.
You can see it in microcosm here in this very blog! On the right you have laissez-faire Western Capitalism. On the left you have the State Command economy models, which includes the various communists, socialists, military and religious dictatorships. In any war, the main target is always the enemy’s cheap energy supply. Cripple that, and you are well on the way to winning. A few hundredths of a degree of Global Warming, (0.36 degrees over the NOAA entire satellite record of 38 years), is being hyped by left wing and assorted anti-Western political activists, in an attempt to shut down Western Industrialization, which is presently dominating (and feeding) the world. The liberals, Lenin’s “Useful Idiots”, are, as usual in the vanguard of the left wing movement that has sworn for over a hundred years to destroy Capitalism. They embraced the revolutionaries in South America and Africa, they embraced China and Russia when they were communist, and now hate them because they have discovered Capitalism. This is not really about the weather! An opportunistic government that would bring itself to power by looting the treasury to bribe the electorate. A free cradle to grave ride through life is very seductive. The only counteragencies against such snake oil salesmen, as they saw it, was a free and non partisan press, and a well armed citizenry. The ‘war’ that’s always going on with many humans has nothing to do with the subject thereof. It has everything to do with EGO. It’s a political means to an end. 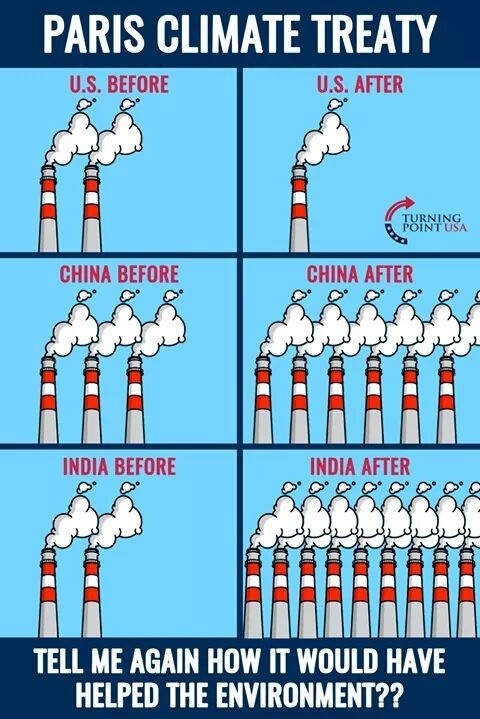 Ironically, the very first thing the communists/fascists would do on assuming power is drop the nonsense known as climate change and jail all the liberal “useful idiots” who have demanded censorship all along! Look at Castro, Hitler, and Mao, and the Ayatollahs..
Actually the WACCy weather is completely due to global warming. The Arctic is warming up and this is resulting in a breakdown of the Polar Vortex — and it is about the same temperature here in Boston as it is at the Pole. If it was very warm people would also be claiming it was obviously due to global warming. If it’s “too” cold – global warming, if it’s “too” hot, global warming. Which begs the question, what’s the “just right” temperature that would not be indicative of global warming? 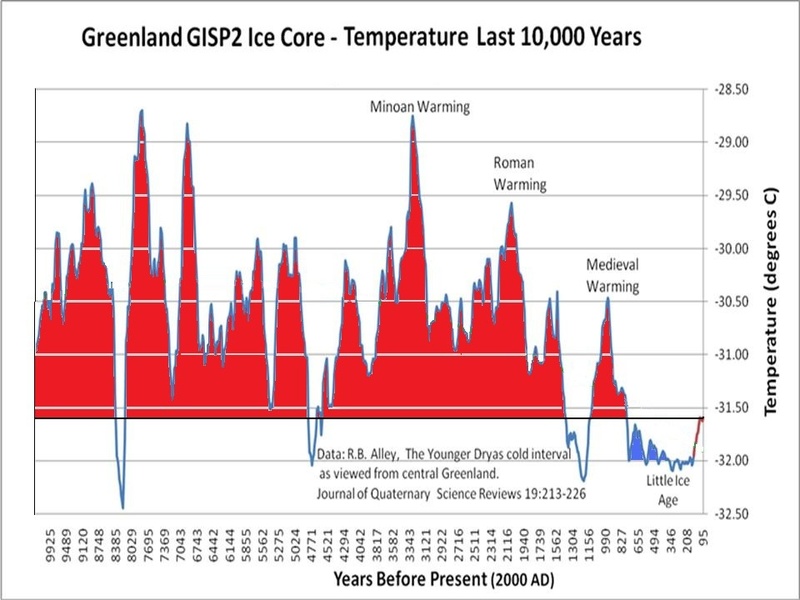 Taking into account some pretty dramatic pre-industrial swings in climate such as the Little Ice Age, not that long ago. You could make a pretty good case that the extreme cold peaking around of 1600 was an oscillation, and that most of the current rise of temperature is a natural counter reaction in the opposite direction. Most chemical, physical, biological, even economic phenomena work that way, like a guy with a pole walking on a high wire. I’m not saying there’s no effect from billions of humans, but that effect is harder to separate out from the long term back ground than many people might think. (Disclaimer: I do not work for Exxon and have never visited the Kremlin). While I do enjoy the rhetorical pyrotechnics on this particular blog, fueled by pseudo-religious fervor masquerading as scientific certainty, history does provide many examples where the logical extension of current trends turn out to be laughably derailed by technological innovation. I have a feeling we’re all gonna be o.k. in the end. Count the blessings, this New Year! After all, we’ve survived Global Cooling, Acid Rain, The Population Bomb, Holes in the Ozone, China Syndrome, Y2K2, Chernobyl, Droughts, Killer Bees, AIDS, Coral Reefs dying, Killer Smog, Silent Spring, Traffic Gridlock, Alien Abductions. Fossil fuels depleted by 1982, 200 million enviro refugees by 2010, Y2K2, Arctic ice gone by 2015, Himalayan glaciers gone by 2035, Quite a few of the worst environmental distaters like Exxon Mobile, Gulf Oil spill, Chicago River on Fire, and Iraq and Kuwait Oil fields burning out of control. James Hansen’s Tipping Point by 2008, Al Gores Tipping Point by 2016.Global Warming and Climate Change. The Sixth Great Extinction, and a even a year of the Russian Spies in the White House! But Mother Nature keeps on ticking and we are still setting world records every year for agricultural production. Good health, and prosperity, thanks to technology and fossil fuels!